We design custom arrangements, gifts, planter baskets, gift baskets, and assist you with you special event in other capacities. 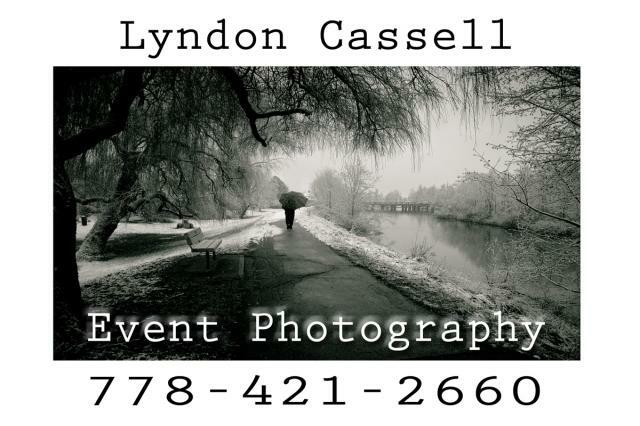 If you have a corporate or private event we can help. We even specialize in event photography and have been involved with the Chamber of Commerce, the Alberni Valley Bulldogs, and the annual Charity Golf Classic to name just a few. Your local Port Alberni flower shop. 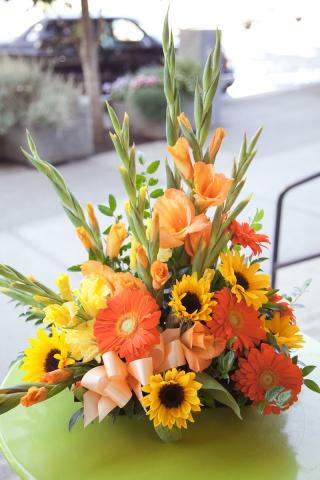 Happy Birthday flowers are one of our specialties right here in our Port Alberni flower shop. 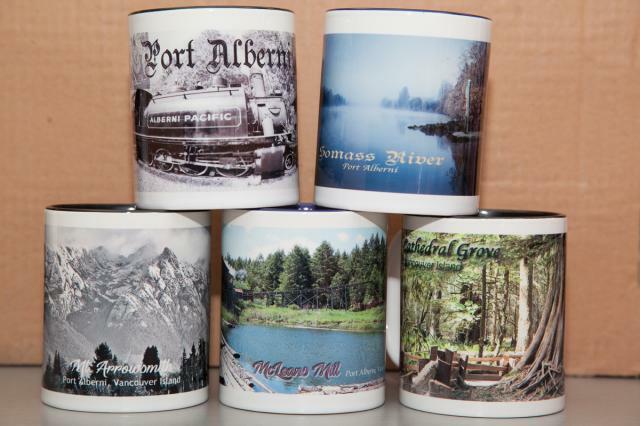 That's correct, we are actually located in Port Alberni. We offer seasonal flowers along with standard year round flowers such as gerberas, carnations, roses and alstromeria for your arrangement or bouquet. We carry many gift items and additions for a Happy Birthday celebration. Our items are always changing to reflect the seasons, trends, and styles. Call 778-421-2660 to see what we currently have to offer. We offer you a wide range of anniversary flower options including elegant bouquets, arrangements, and table center pieces. We are ready to serve you at any level you require including the hurried who need to take a bouquet to an anniversary party asap, all the way to a full package of multiple table center pieces and extravagant vase arrangements that we can deliver. We'll even help with the set up and break down if you require. 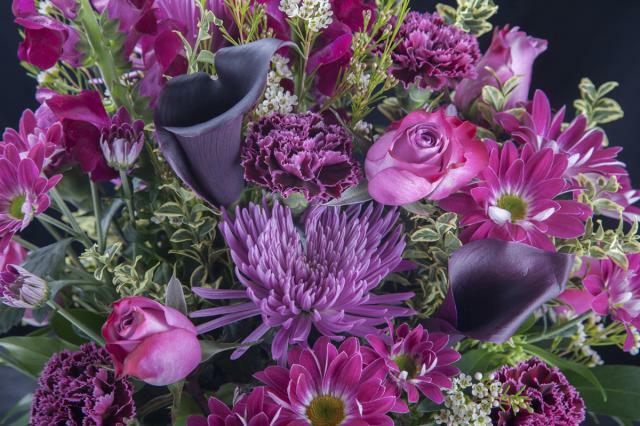 See our Anniversary page for a great selection of Anniversary Flowers. 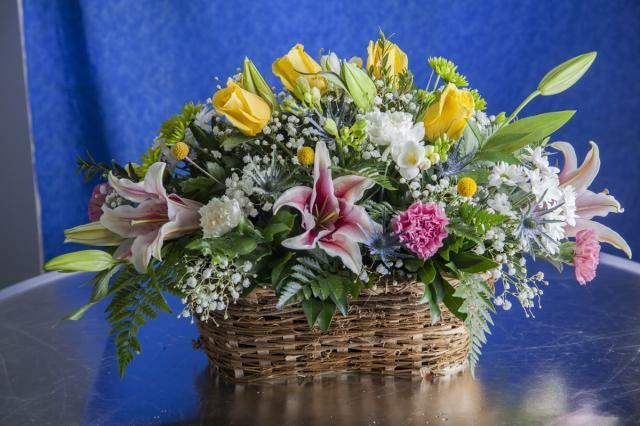 Sympathy flowers from Azalea flowers and gifts are delivered with care, consideration, and the utmost respect. 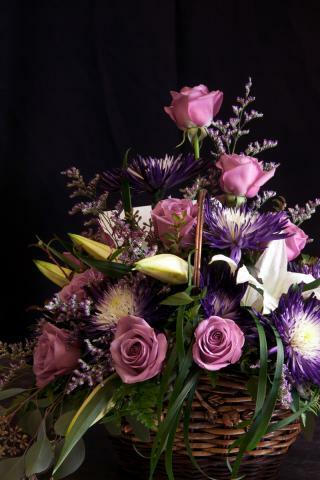 It is one of the most difficult times in all our lives, and we treat sympathy and funeral service flowers in the most professional and dignified manner. 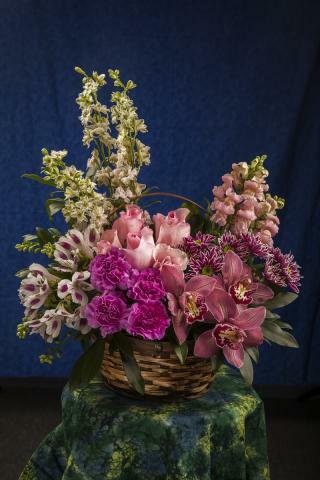 We will create a unique arrangement to be delivered on your behalf. 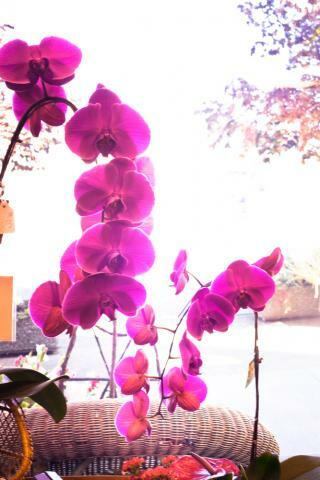 All Everyday Flowers. Click on the photo to go to our collection of Everyday flowers. 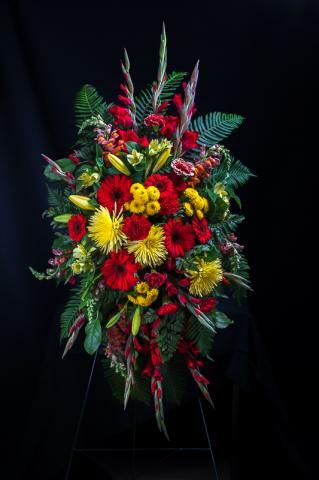 We deliver to Chapel of Memories Funeral Directors, Yates Funeral Home and Crematorium, Churches, Halls, and private venues throughout the Alberni Valley. We invite you to come to the store and discuss your requirements with Pam. She can show you books of various flowers, colours, and styles. Pam has been creating service flower arrangements for more than 30 years and is considered by many to be the absolute best in Port Alberni. We don't get to take the No. 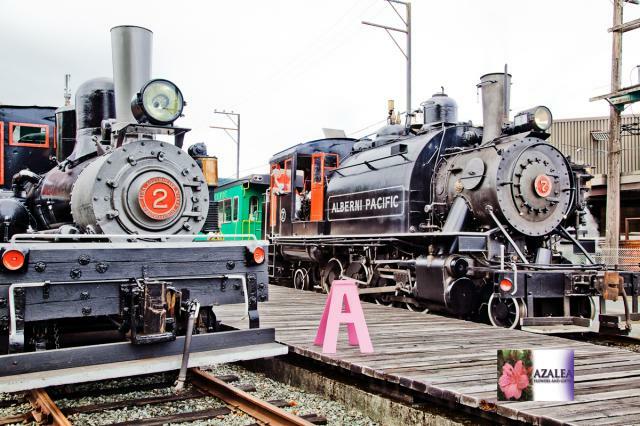 7 Steam Train to make flower deliveries around the Alberni Valley, but we do offer some of the best rates you will find anywhere. 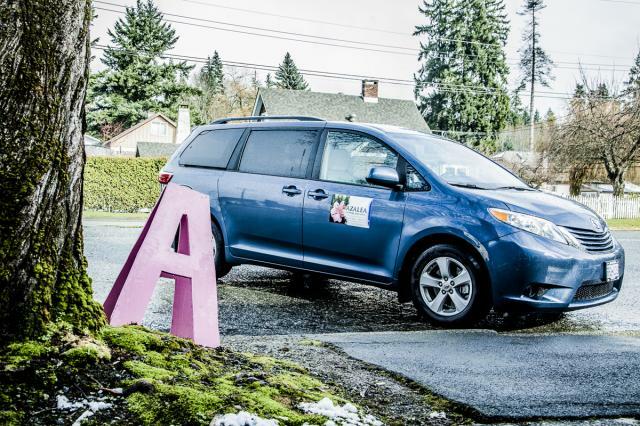 If you really, really want your flowers delivered via the No. 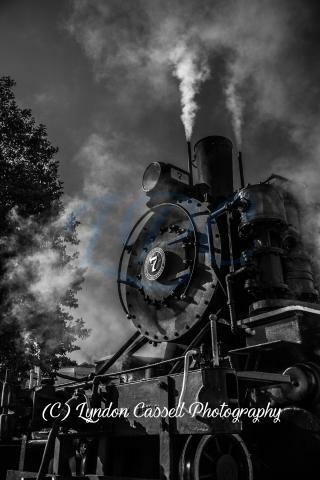 7 Steam Train, well, maybe we can compromise and deliver a beautiful greeting card of the No. 7. 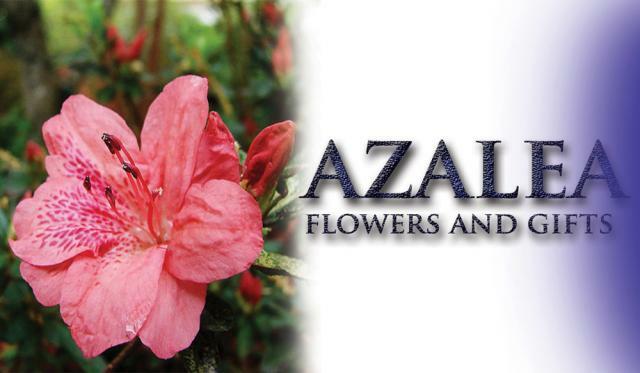 Azalea Flowers and Gifts offer a wide selection of Get Well flowers and gift items. We create custom made-to-order flower arrangements for your personal request, and we do it right here in Port Alberni, B.C. Your order will be designed with care and delivered with the same care. We offer a one stop shop for your Get Well Gifts. 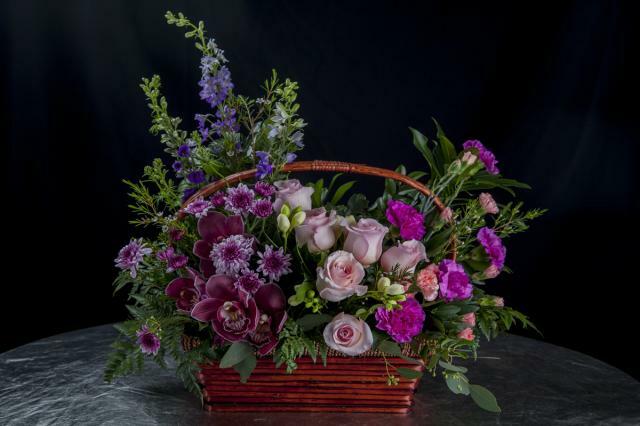 Our Get Well Gift Baskets are very popular and, just like our made-to-order flower arrangements, our gift baskets are also one of a kind, designed specifically for you. We offer many options for our Get Well Gift Baskets including hand made local chocolate, hand made soaps, gift certificates from a selection of local businesses, stuffed toys, balloons, fruit and gourmet baskets, and much more. 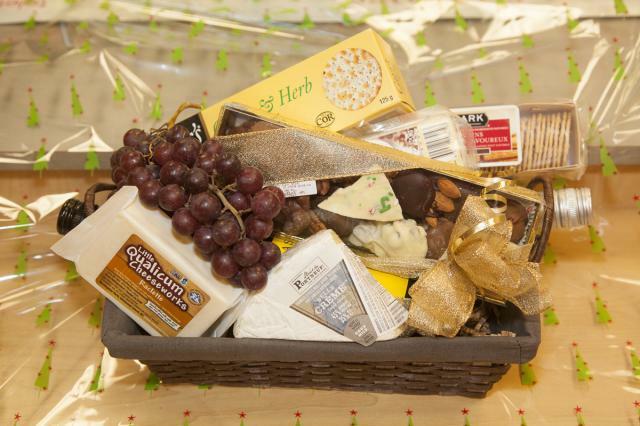 Call us at 778-421-2660 to discuss your specific Get Well Gift Basket needs. We are in Port Alberni, B.C. and your order will be delivered the same day in most situations. We offer New Baby Gift Baskets, Soaps, Stuffed Toys, Chocolate, and a wide range of gift items for new baby gifts and flowers. 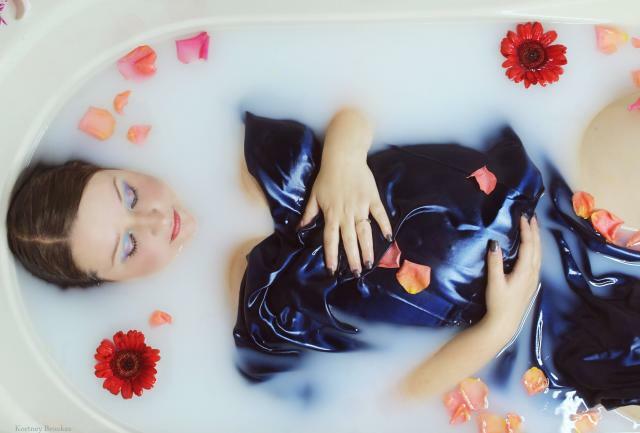 Let us be your one stop shop to celebrate new moms, expectant moms, new baby, congratulations, and baby showers.Call us and we will work with you to put together a one of a kind gift to be picked up or delivered on your behalf. 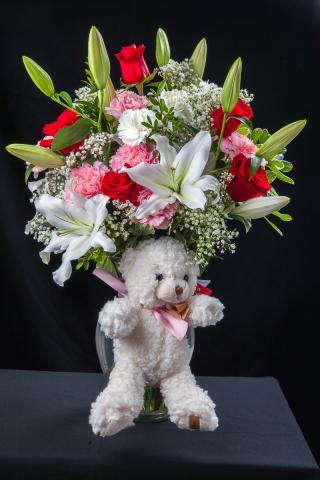 Visit our new baby page for more flowers and gift ideas. Love and Romance Flowers and Gifts. Let us be your one stop shop for your next Love and Romance gift. Call us at 778-421-2660 and we'll put together a one of a kind gift of roses, chocolate, soaps, gift certificates, wine, cheese or just about anything you request. Let's make your romantic evening a night that ranks in the top 10 of your most memorable moments in life! Love and Romance Gift Certificates. Getting ready to propose? 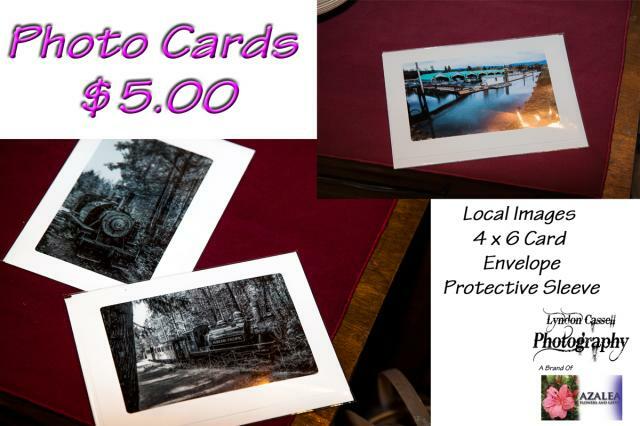 We offer portrait gift certificates for Engagements. 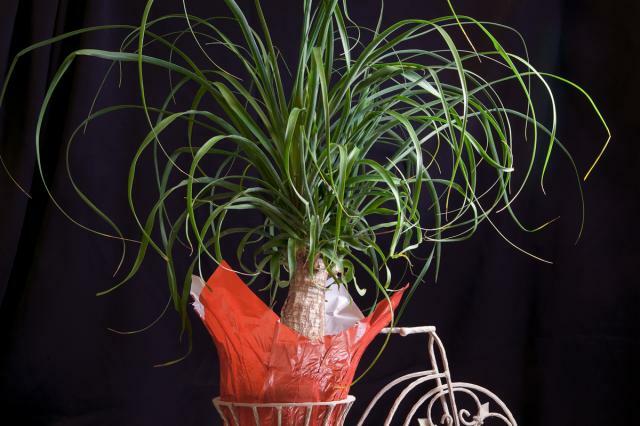 Plants make excellent gifts and are always popular for occasions such as Mother's Day, Happy Birthday, Happy Anniversary, Get Well, and Sympathy. When it comes to plants for sale in Port Alberni, Azalea Flowers & Gifts carry a wide assortment including planter baskets. 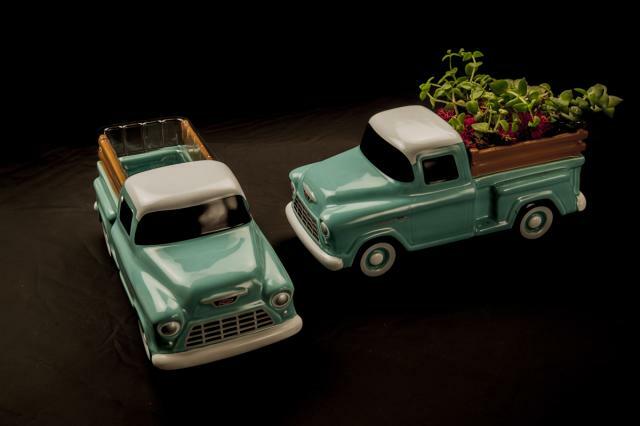 Visit our plant page for images and details regarding a great selection of plants and planter baskets available right here in Port Alberni. Whether you are looking for a flowering plant, exotic house plant, or green plant, orchid, or cactus, we carry a variety and we are always adding to our inventory. Port Alberni florist, flowers shop, and delivery service, with fresh cut flowers, plants, gifts, and a super friendly staff. 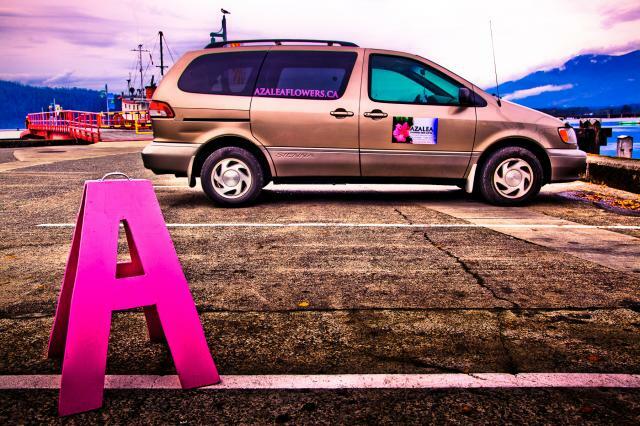 This is Azalea Flowers & Gifts, and we are located in the Alberni Valley. 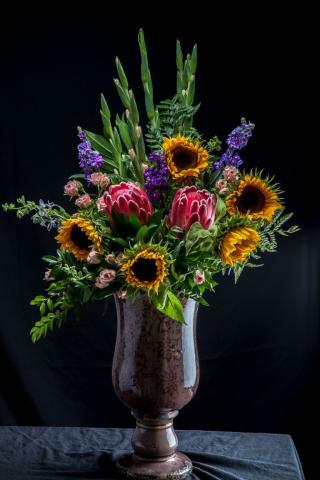 We are a full service flower shop in Port Alberni and we serve the entire Alberni Valley region including Beaver Creek, Cherry Creek and Sprout Lake. 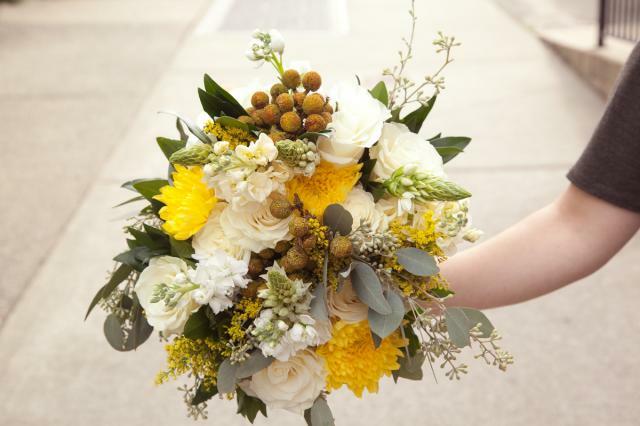 We offer wedding flowers and consultations, arrangements and bouquets for just about any occasion imaginable! Plants, gift baskets, fruit baskets, cactus, orchids, sympathy, gift cards, photography and a delivery service round out our Port Alberni flowers business. 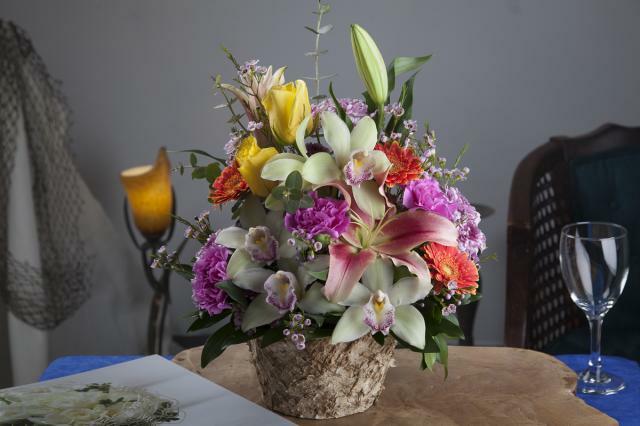 As a flower shop in Port Alberni, we strive to offer the freshness you expect. 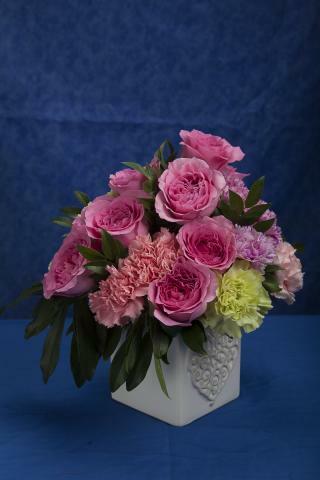 Our flower selection includes rose flowers, alstromeria flowers, spray mum flowers, gerbera flowers, seasonal flowers including sunflowers in the summer, lily flowers, tulip flowers in the spring, carnation flowers, mini carnation flowers, gladiolas flowers in the summer, and specialty flowers which are usually special orders. Always a favourite for many of our customers. 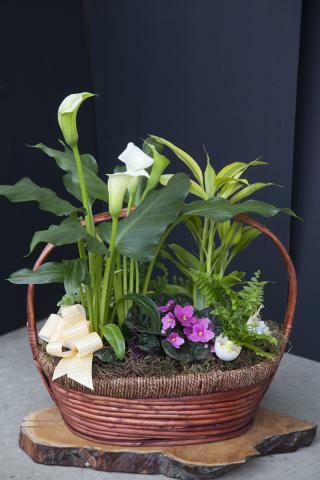 A planter basket is perfect for any gift giving occasion all year round. 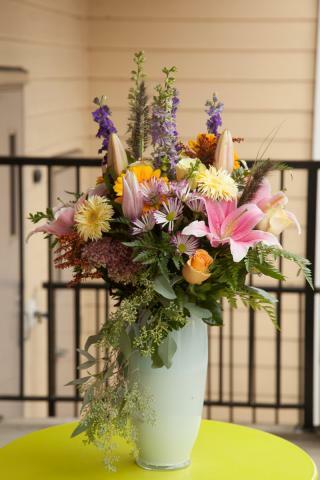 They are also one of our most requested items for events such as house warming. Baskets start at $40.00. 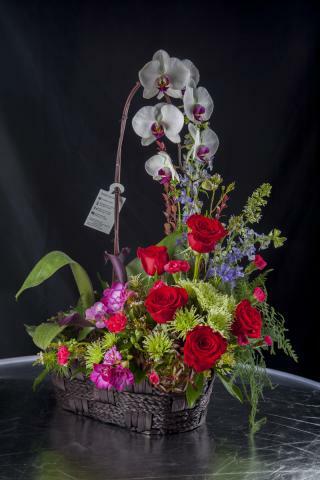 Call us today to have a one of a kind custom basket created for you. 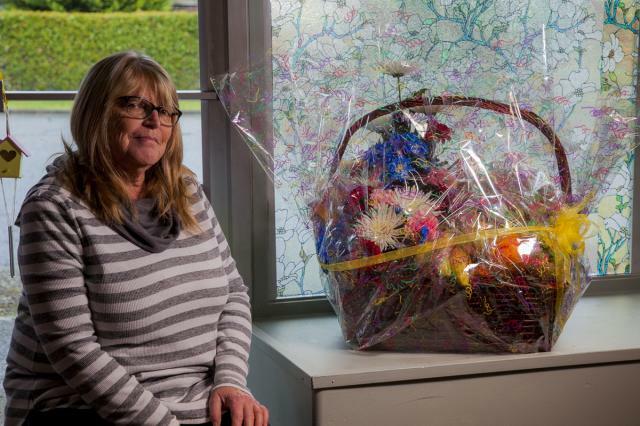 It is a very special thought to send a gourmet basket. We are pleased to use as much local products and support as many local businesses as we can when we create gourmet baskets. You can find out more of our local support on our Gift Basket page. Psst..you're allowed to send someone flowers just because you can! You honestly do not need an excuse such as happy birthday or I love you to send flowers. Sometimes sending a special person or family a beautiful bouquet of flowers, just because you can, is all the reason you need. Visit our Gift Basket page to get familiar with the many occasions, events, and seasons we offer. If you don't see what you are looking for, call us with your requirements and we'll work diligently to provide you with the great service we have become known for in Port Alberni. For the dude who enjoys flowers, plants, and possibly has everything ... take a look at our product offering for his anniversary, birthday, just because, or any of a number of milestones in his life. We've become well known for our excellent gift baskets. 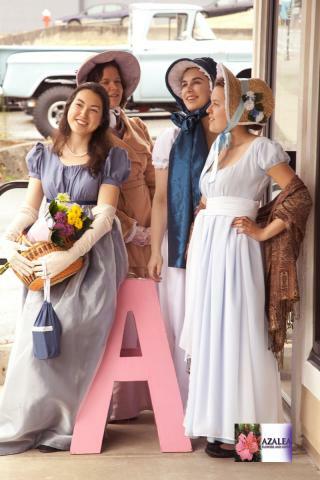 For any occasion we create a variety of styles to suit your needs. 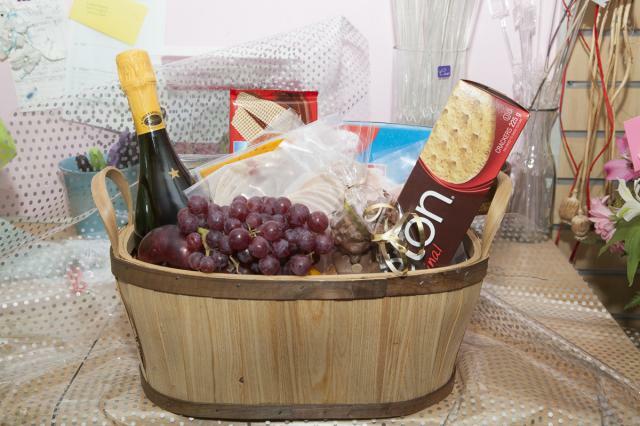 Examples include fruit and gourmet baskets, wine and cheese baskets, spa baskets, and many others. Call us and let's discuss something unique to send out on your behalf. Spring and Easter Flowers in Port Alberni. 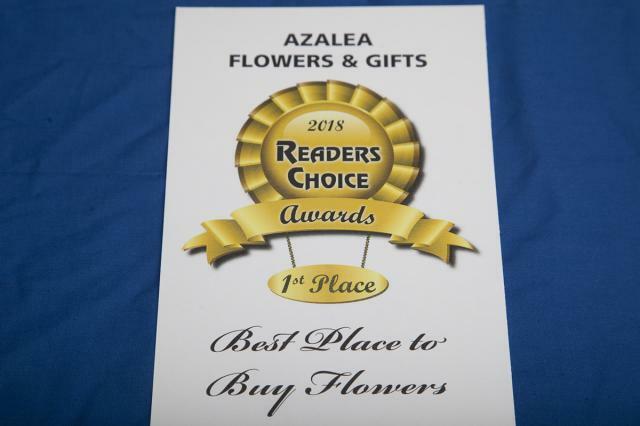 Azalea Flowers & Gifts has the flowers and gifts for Spring 2019. From arrangements to baskets of flowers and bouquets to planter baskets and plants, gourmet and gift baskets, chocolate, and much more, we are ready to offer you a one stop shopping experience, with same-day delivery throughout the Alberni Valley. 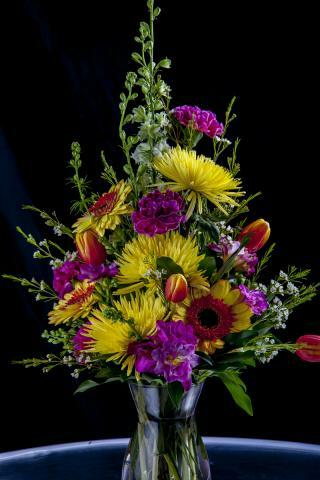 Call today: 778-421-2660 and have an easter flower bouquet or arrangement delivered in Port Alberni.